This is a delicious side dish, full of antioxidants. Line or grease an oven tray. 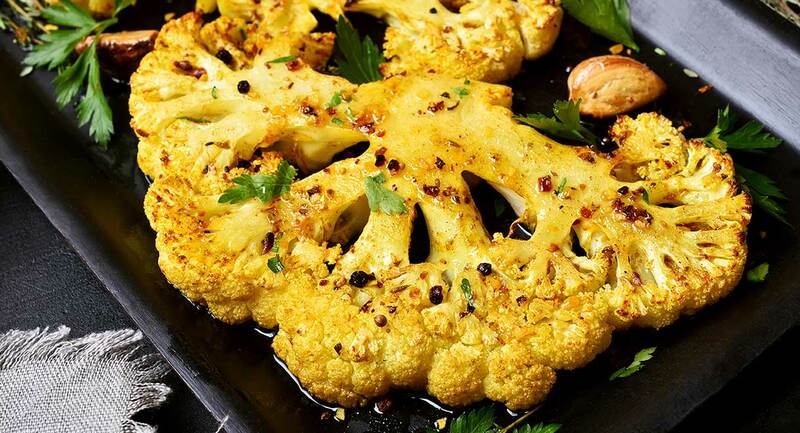 Cut the cauliflower up into small florets. Brush the florets with olive oil, making sure they are all covered. Sprinkle with turmeric, salt and pepper. Place in the oven and roast for approximately 30 minutes, or until lightly golden.